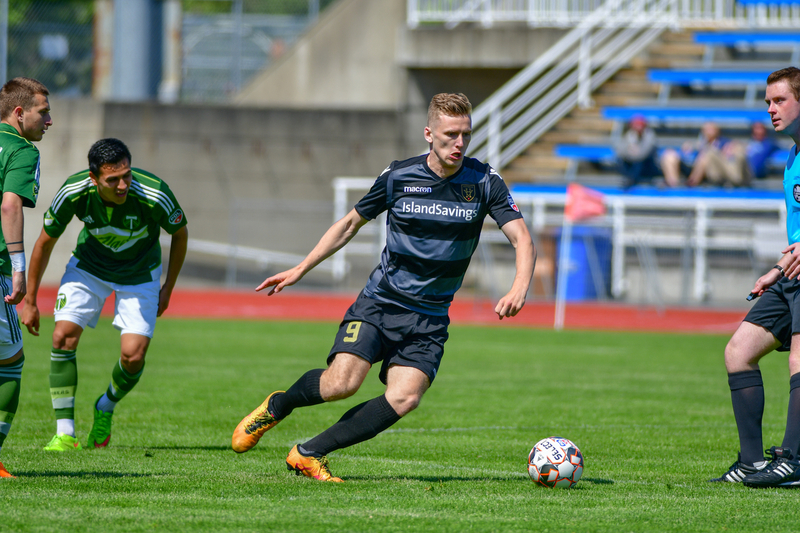 VICTORIA, BC - Victoria Highlanders FC (5-8-0) fight back to seal three points in a tough matchup versus Portland Timbers U-23 (3-10-2) at McCulloch Stadium in Salem, Oregon to end their final road trip of the 2018 PDL season with a win. At 8-minutes Portland’s Timur Zhividze converted a goal from the penalty spot to take an early lead for the home side. The home crowd erupted as the Timbers looked to grab three points in their final match of the 2018 season. JOIN US SATURDAY, JULY 14 VERSUS LANE UNITED FC COURTESY OF COLONIAL COUNTERTOPS! Highlanders responded right away with some great pressure. A pass back to the Timber’s ‘keeper popped out and was capitalized on by Victoria forward Blair Sturrock. Sturrock’s goal at 9-minutes moves him into second place in Highlander’s all time goal-scoring leaders. The Highlanders continued to battle back. At 37-minutes Highlander’s Captain Thomas Shores found the back of the net off a half volley to take the lead. The Highlanders held out to take all three points home with them back to Victoria in time for their final match of the 2018 season. The Highlanders return to Centennial Stadium this Saturday, July 14 versus Lane United FC, with kick-off set for 2:00 p.m. PST. Come out and support Cops 4 Cancer as the proceeds from the 50/50 draw will go to Cops 4 Cancer. For more information, please visit www.highlandersfc.ca.